There are a few iconic computer designs. One of the most recognizable is the original Apple Macintosh, also known as the Macintosh 128k. With its 512 × 342 black and white display happily greeting the world with a friendly “hello.” Chris McVeigh, aka: powerpig, has created one of the most popular Lego MOCs of one of the most popular computers. There are even free instructions available at http://chrismcveigh.com/cm/welcome.html. You can also buy a custom kit based on the 128k Mac. Hopefully the Lego version is a bit cheaper then the original $2,495 price tag. 128k. 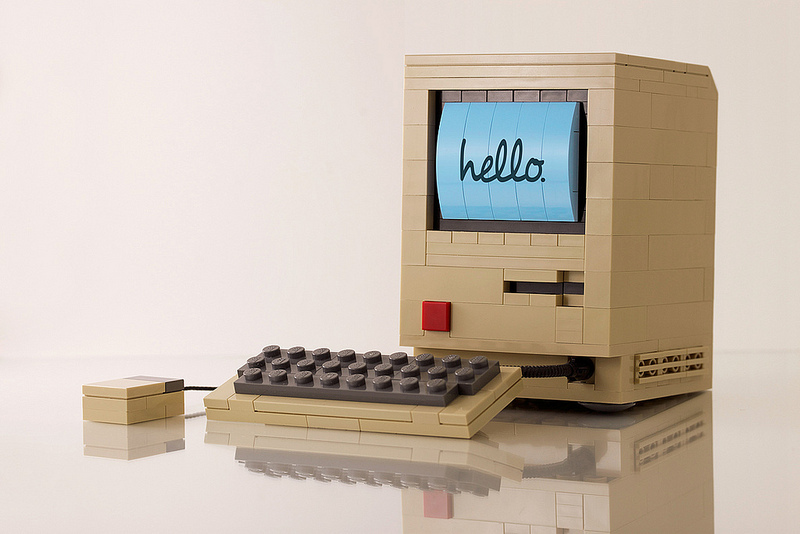 A Mini Lego Apple Macintosh.